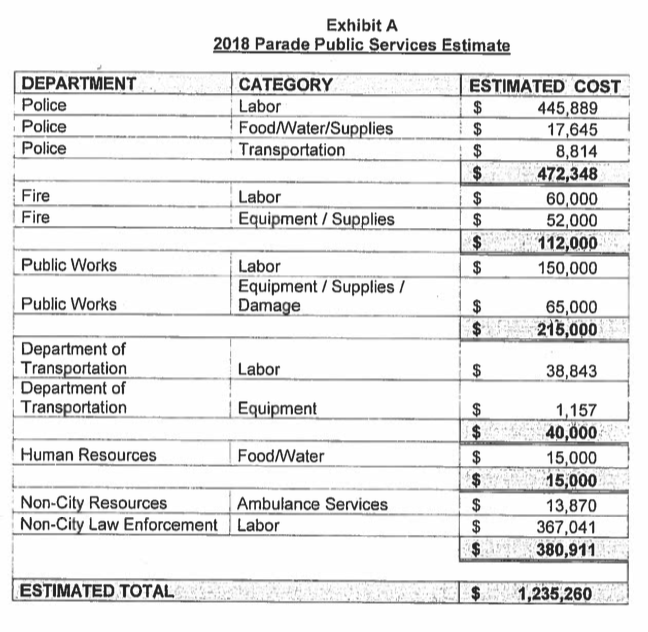 The June 2017 parade cost $815,896. This year's parade is estimated to cost up to $1.23 million. It's unlikely the Warriors organization and the City of Oakland will find themselves in a dispute over the cost of this year's championship parade. 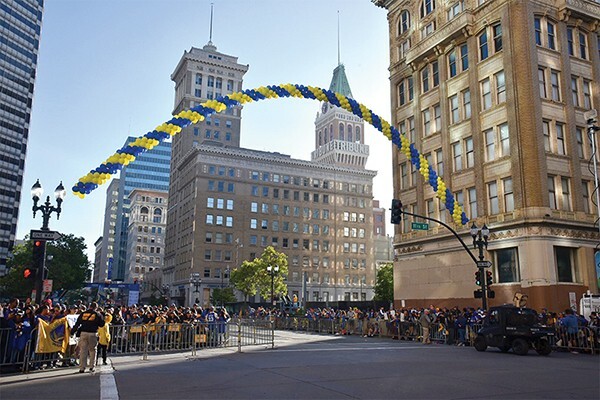 That's because the team and city have agreed, in advance, that Oakland will be reimbursed up to $1.23 million for the cost of providing cops, firefighters, street cleaning, paramedics, and all the other services it takes to stage a celebration of more than 1 million fans. Last year, the Warriors objected to the more than $1 million they were billed by the city for the 2015 and 2017 celebrations. The dispute blew up publicly in August after the Warriors refused to pay. But after months of negotiations, the team and city ended up agreeing on a final reimbursement of $786,988. This year's agreement estimates that the city will spend $472,348 on police, $112,000 on fire protection, and $215,000 on public works crews to block off city streets and clean up afterward, among other line items. Food and water for city workers alone could cost as much as $32,000 for the day. Damage to landscaping, streets, signs, and other public property could add up to thousands of dollars. Under the agreement's terms, the city has 60 days to submit a detailed invoice to the Warriors. The team can request documentation supporting each line item and can withhold payment for any expense that isn't justified. The Warriors then have 30 days to pay the city. The estimate is a ceiling. If the city doesn't spend that much, the Warriors' final bill could be much lower.